While tower climbing is still considered one of the most dangerous jobs, not just in the US but worldwide, it has come a long way in the past 60, 40, 20 and 10 years. The emphasis on safety in recent years has become a priority that was not around when the first towers were being climbed. Free climbing, while it is still practiced by experienced climbers, was more commonly practiced in the early years of tower dogs. The importance of proper harnesses, knots, boots, and helmets was not part of general safety curriculum. It was a new field and, like when any new career field comes into the world, trial and error is the surest way to learn. Unfortunately for the field of tower climbing, deaths had to be the sacrifice made for progress. As technological advancement explodes, there are constantly being developed newer, more reliable, and safer methods to get the job done. Communications began as a few wealthy households possessing telephones. As TV, phones and later Wi-Fi, internet and satellite communications began to dominate and change the world, more towers needed to be created to keep up with the demand. This means that more people to service, build and maintain these towers were needed. This also means that there has been growth in the variety of communications devices a tower climber needs to be familiar with. When one or two towers supplied lines to a community, it didn’t take an army of people to keep them running. 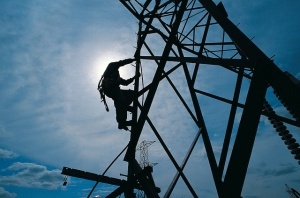 Today, it is seen that tower climbers work long shifts for weeks at a time. They often travel from city to city, tower to tower, just to keep the internet at the fingertips of millions and text messages travelling at unfathomable rates. The size of towers has increased as well. The bigger a city gets, the more obstacles that can interfere with the signal, especially of satellites. The placement of towers on top of buildings helps alleviate this problem. This means however, that a 500-foot tower may reside on top of a 20 story building. This was not a practice utilized when tower climbing got its start. There are now protocols in place that have to do with line of sight. Little gets in the way of the signal coming from or going to a 700 foot tower, but the smaller ones have to be placed so that trees, traffic lights, and other signals do not disrupt the patterns being sent or received. Tower climbing, at its start, was completely for men. While the vast majority of tower climbers are still men, women are beginning to brave this field as well. One of the first female tower climbers began her career in the 1970’s. This was a time when gender roles were just beginning to change. One important thing seen in the towers climbing career path is that while other jobs still pay women a certain percent per dollar to what they pay men, this dichotomy is not present with tower dogs. It seems that all the advancements have boosted the tower climbing industry ahead of the curve in many ways.